﻿ ErP Energy Efficiency Certification-EU Certification-Shenzhen STS test services Co., Ltd.
What is the EU ErP certification? ERP = Energy related products, that is, energy-related products, in its production, distribution, use of all aspects of the life cycle are related to many important environmental factors, such as other raw materials and natural resources (such as water) consumption, waste generation Environmental pollution resulting from the discharge of hazardous substances into the environment, and the associated climate change due to energy consumption. 4, to maintain the interests of industry and consumers. ERP instructions are CE mark requirements, if the product into the European market belongs to the CE range, should carry the CE mark. In addition, some authoritative foreign certification bodies can provide ERP mark to do marketing. Is ENERGY STAR approving ErP certification requirements? incompatible. Energy Star is a US certification mark and therefore can not be used as proof of compliance with EU directives. The only sign that can now be used as proof of conformity is the European ecolabel. EU regulations: all electronic products sold in Europe must meet the ERP test or ERP certification requirements (European energy consumption associated with the product energy requirements). Car wireless products: reversing radar, car amplifier, car audio, car DVD, car display, car TV, GPS (do not do wireless), car charger, car inverter, wireless doorbell, wireless hygrometer, wireless mouse, Wireless keyboard, wireless game controller, wireless card, wireless router, Bluetooth products, wireless remote control, car MP3, FM transmitter and other products. 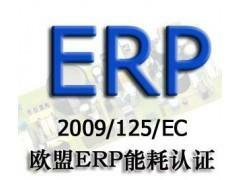 How to do ErP certification effectively? The conformity assessment of the product is carried out in accordance with the internal design control procedures of Appendix 4 of the ERP 2005/32 / EC Act. Regular for 2-3 weeks, can be expedited, urgent need to pay another fee. DePuhua Testing (STS), as a third-party testing authority and ErP certification agency, not only has independent laboratories and a group of experienced ErP certified engineers, but also provides customers with a full range of ErP certification testing Service, the company signed a mutual agreement with a number of countries, and issued by the report (or certificate), in line with EU testing standards, to eliminate your product exports to the EU trade barriers. If you have relevant ErP certification test requirements please call us 400-1800-162, we sincerely welcome you to visit our company.